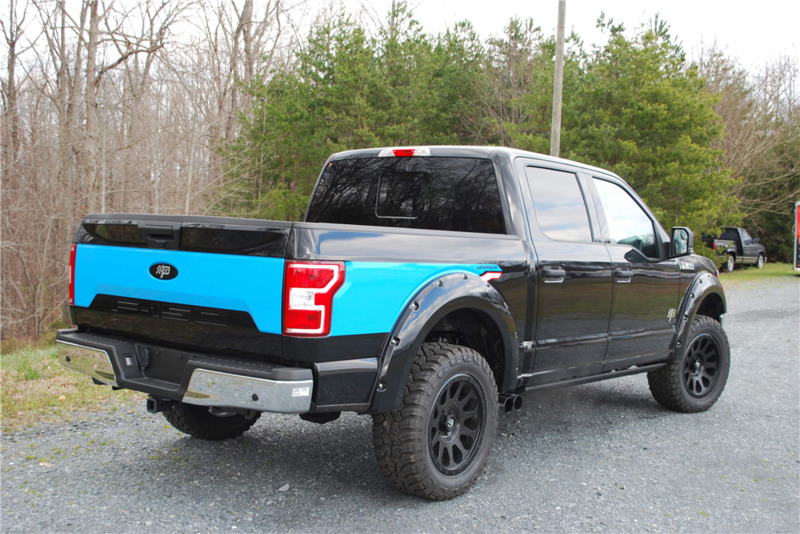 Petty’s Garage in Randleman, North Carolina is run by none other than NASCAR legend Richard Petty, and recently it's been busy making a special edition pickup: the Ford F-150 Warrior Edition. The unique truck is available for purchase exclusively through the Military Auto Source for members of the U.S. armed forces, however, if you’re not an active duty soldier and you want one of these trucks, your chance is coming up. The very first Ford F-150 Warrior Edition that comes out of Petty’s Garage is going straight to Barrett-Jackson to be auctioned off, and 100 percent of the hammer price is going to benefit the Paralyzed Veterans of America, a non-profit charity with 34 chapters across the United States. What makes the Warrior Edition special? 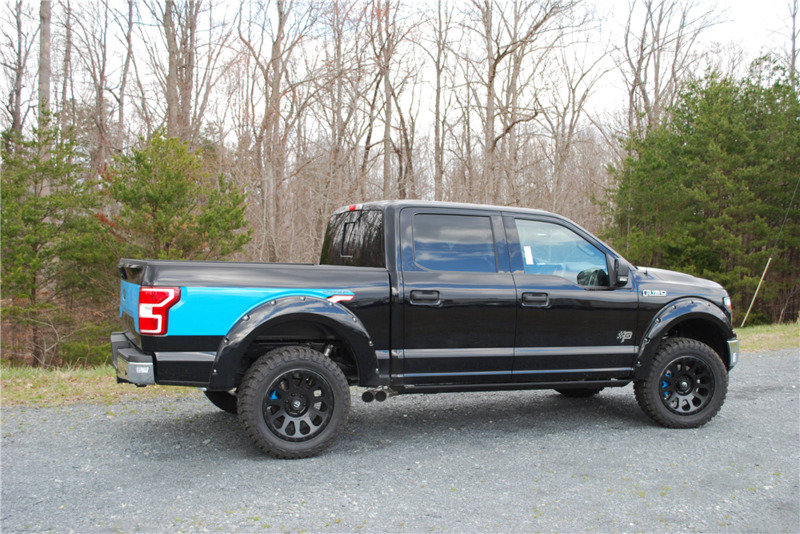 It’s built on an F-150 SuperCrew XLT 4x4 and you can tell by looking at it that it has a little Richard Petty influence. The splash of “Petty Blue” on the bed, tailgate, and brake calipers is a throwback to The King’s race cars from back in the day, and it also has some Petty’s Garage badging throughout. Other aesthetic mods include a different grille with clearance lights, a hood scoop, a light bar in the front bumper, fender flares, and 20-inch Fuel wheels. 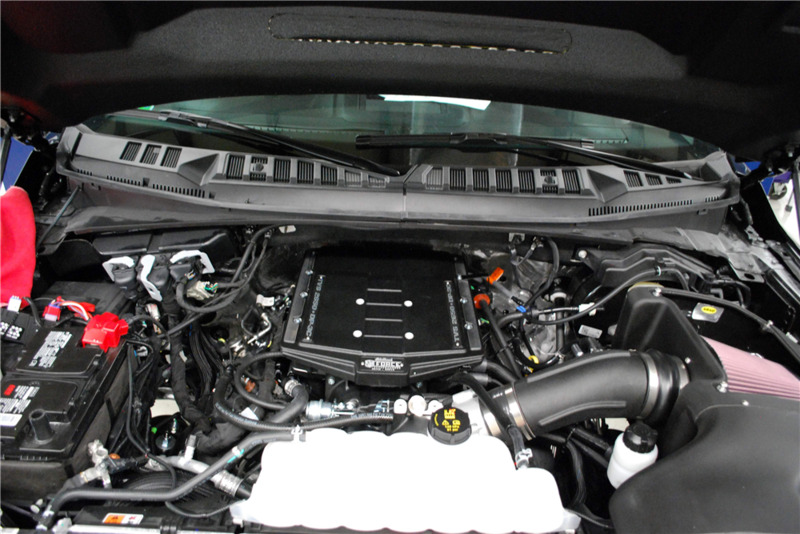 Under the hood is a Whipple supercharger that boosts the 5.0-liter V-8 up to 750 horsepower and 560 pound-feet of torque but that isn’t the only performance upgrade you get. It also comes with MagnaFlow exhaust, a two-inch leveling kit, and Fox shocks in the rear. 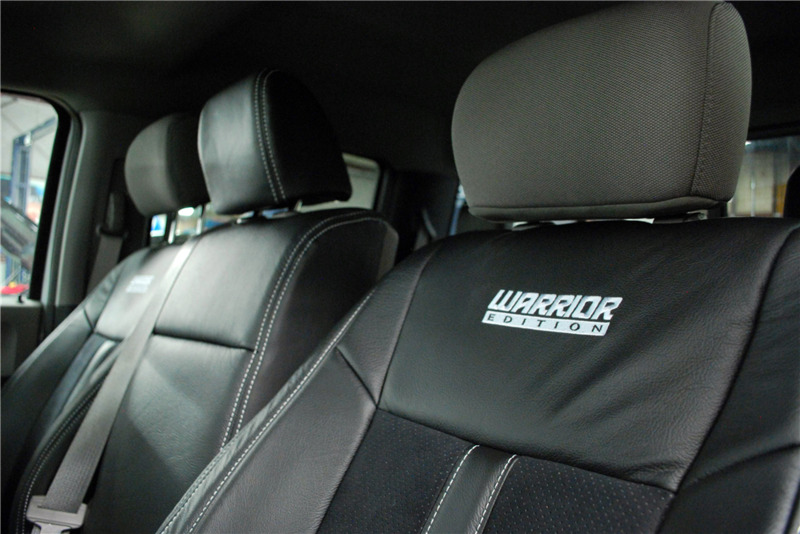 On the inside, you’ll be welcomed by “Warrior Edition” stitching on the floormats and the leather seats. 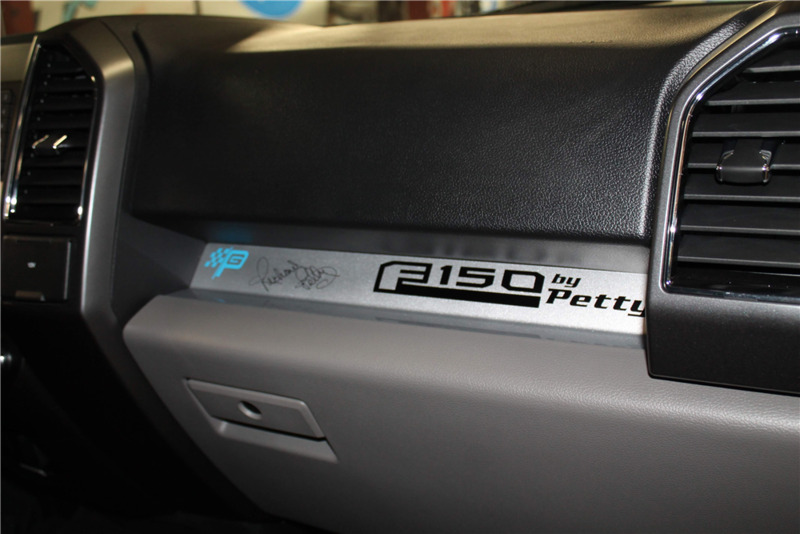 There's also Petty’s Garage branding and Richard Petty’s autograph on the dash directly in front of the passenger seat. If you’re a civilian and you want a rare chance to buy a Warrior Edition F-150, head to the Barrett-Jackson Las Vegas auction at the Mandalay Bay Resort and Casino Sept. 27-29. If you don’t think you can afford the truck but want to make a donation to Paralyzed Veterans of America, you can do that here. Roush has debuted their handsome take on Ford's ever popular F-150. In case you find the milquetoast Ford Raptor is just too boring. An upgraded supercharger boosts the truck's power output to astronomical levels...because America.